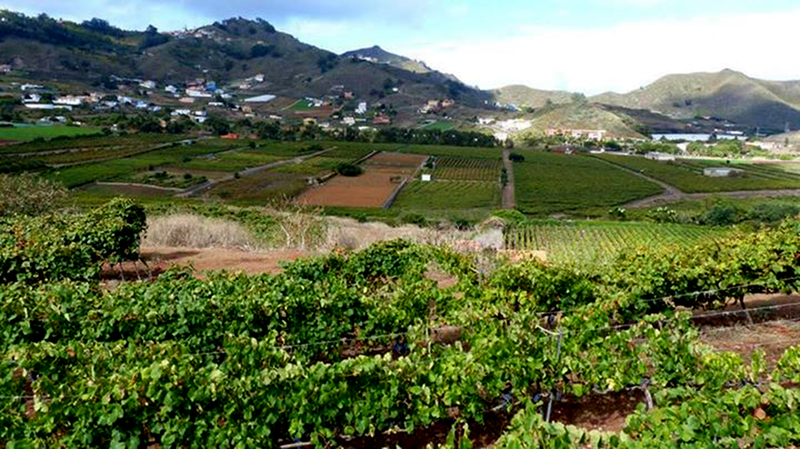 The winery has two vineyards in the municipality of Tegueste. 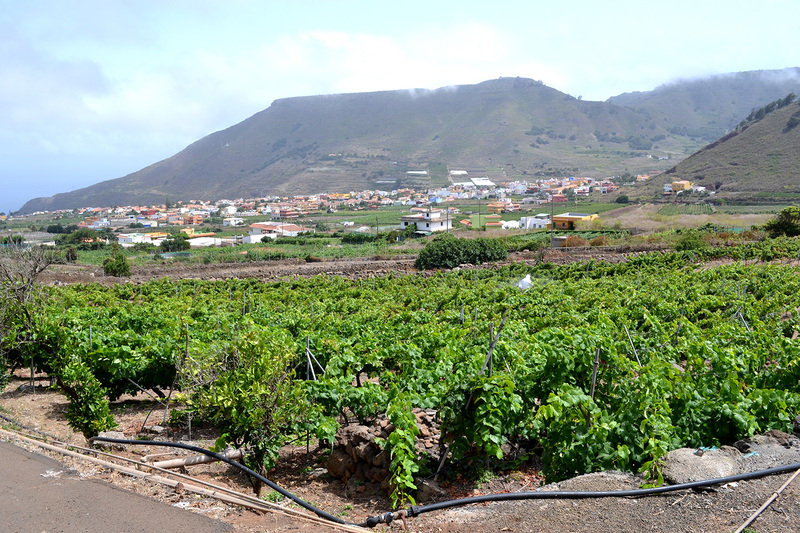 The estate surrounding the winery has three hectares and is grown on trellises. Another farm, called El Fidein or Las Peñuelas, covers 6 hectares. Most of it is grown in open lyre, the rest have has recently converted from the traditional system in Harrow to trellis. The lira system has been introduced in order to increase the leaf surface exposed, also to increase the density of planting, increasing competition among the plants, resulting in reduced vigor and increases the quality of grapes produced. The vineyard age ranges between 40 years and the year of the newly converted. As a territory free of phylloxera vine plants are introduced directly into the soil, ungrafted. This allows greater longevity of plants and a peculiar taste of wines.